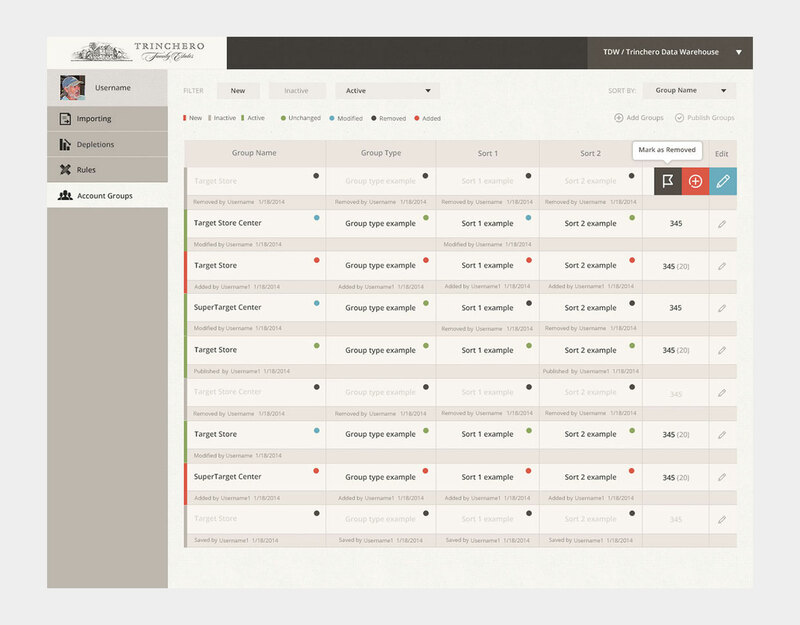 This is a web app designed for the giant wine company Trinchero Family Estate to monitor their inventory. The app is used by their nation-wide disctributors and sales people. We basically need to build the functionality just like microsoft excel sheet. Most of the table cells need to be editable there are pop overs, modals everywhere. 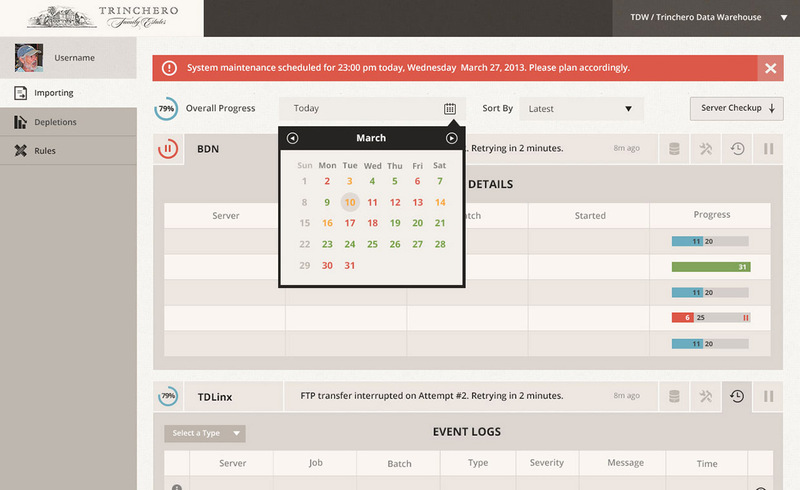 How do we make it easy for users and help them reduce errors? Create a very clear visual hierarchy. Clear indication of editable items and actionable items. Group functions. Use consistent colors/pattern on similar items.